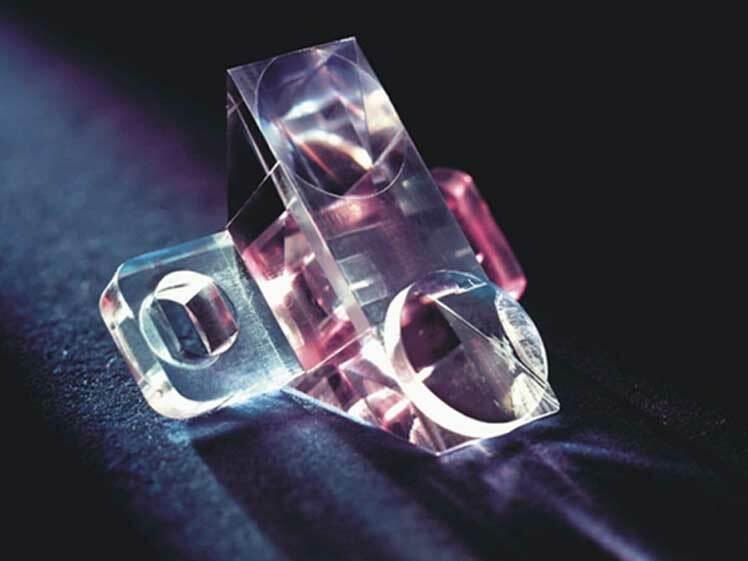 Jenoptik develops and produces polymer optics with prismatic surfaces. In just one work step, you can integrate these with other optical surfaces and mechanical functional elements. Polymer prismatic surfaces can be used to deflect light beams and achieve spectral splitting. Polymer optics offer the advantage of enabling you to integrate prismatic surfaces together with other optical functional surfaces and mechanical functional elements in one component. For example, you can use spherical and aspherical lenses, cylinder lenses or micro structures together with prisms. The components are produced in just one work step using sophisticated injection molding and stamping processes, saving you both time and money . Jenoptik produces prismatic surfaces of 0.01 - 100mm for your specific applications.